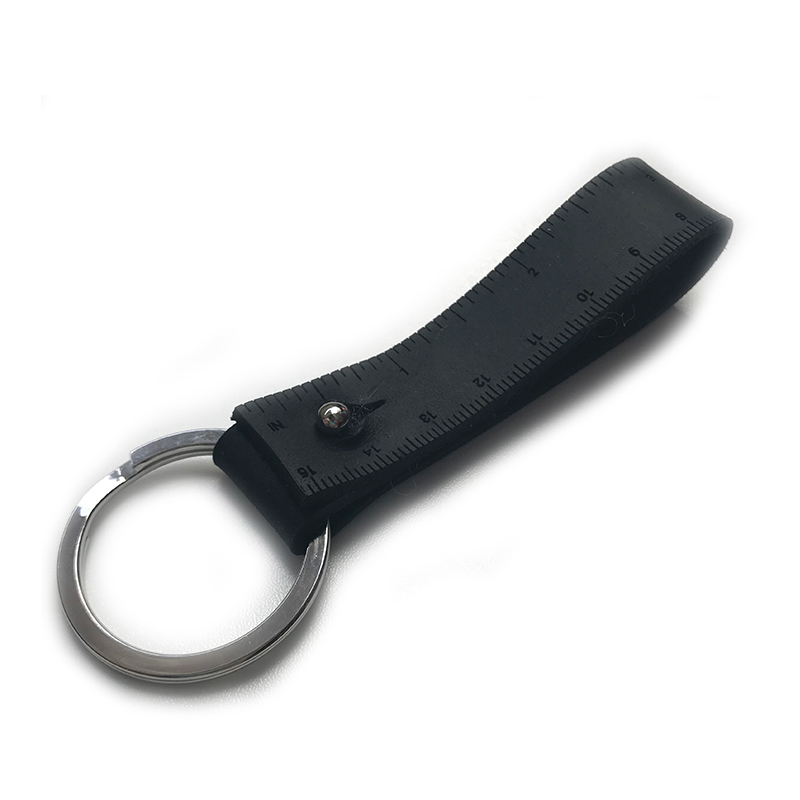 Never be without a tape measure again! 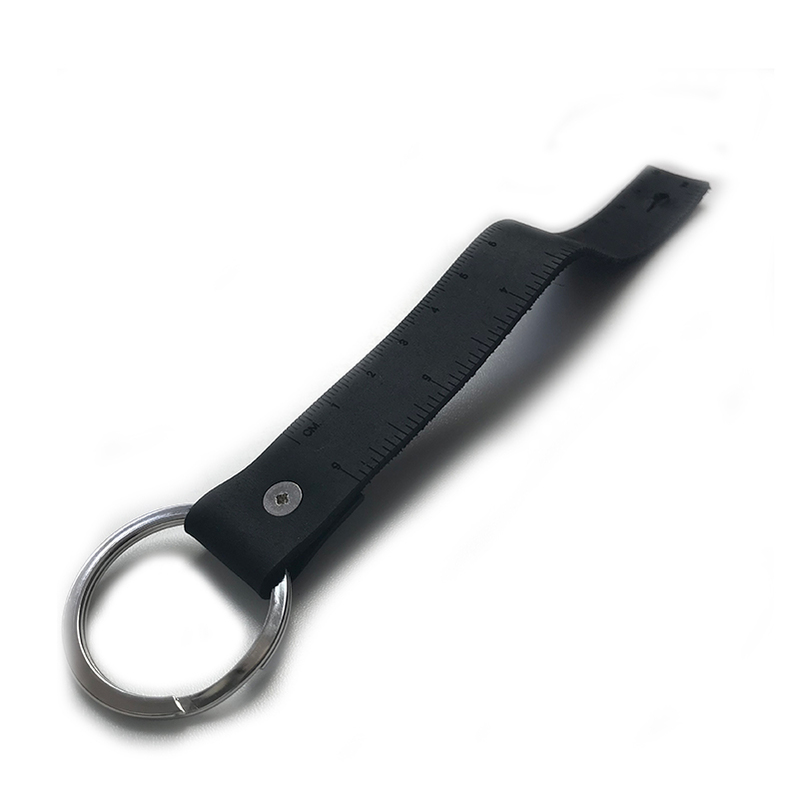 Attach this 6" leather ruler to your keys or project bag zipper and measure your work on the go. 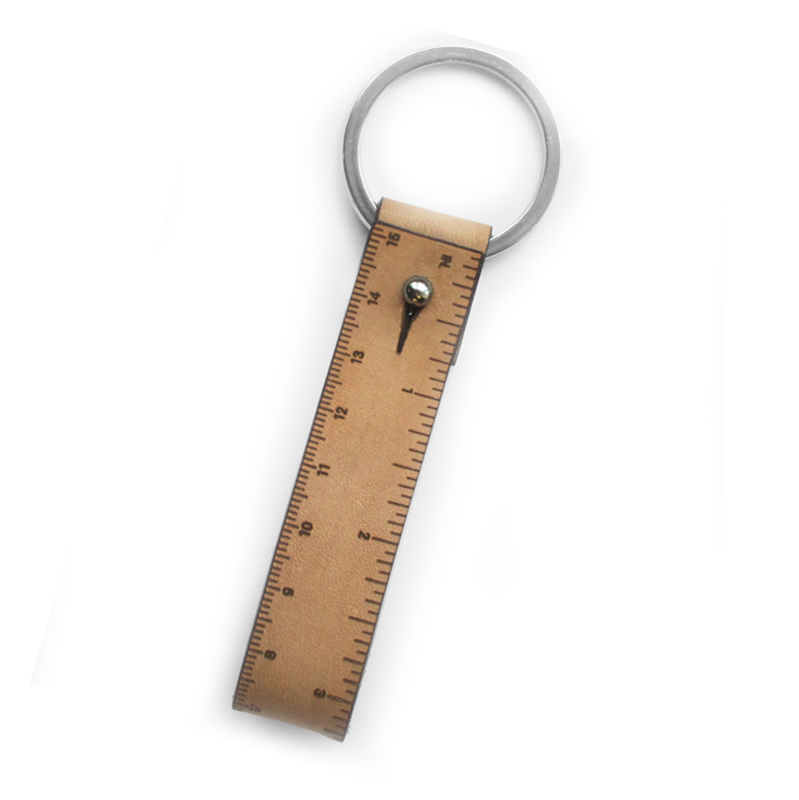 The ruler features both inches and centimeters and easily expands so that you can measure both big and small projects accurately.